So, 2016 is here. The fireworks have fizzled out. The parties have died down. And countless New Year’s resolutions have already been broken. However, if your resolution involved buying a compact, technology-filled car, you’re in luck. This year, the choice is even broader, thanks to the impending arrival of a number of new players. 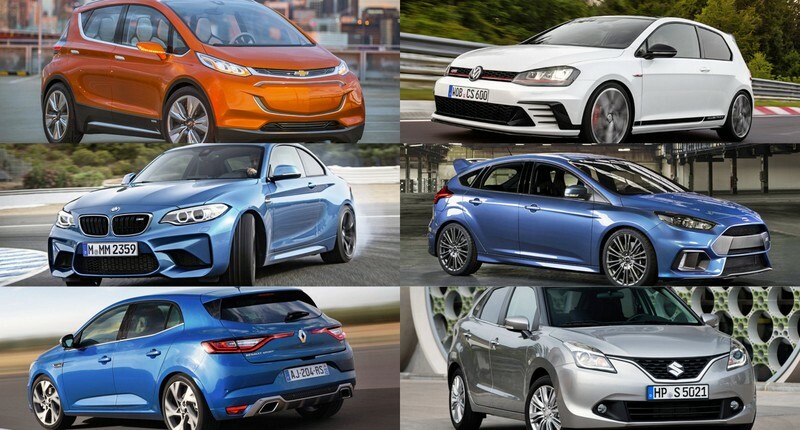 So, we’ve created a list of six upcoming small vehicles (nothing bigger than a C-segment hatchback) scheduled to hit the new car scene at some stage in 2016. And there’s something for pretty much every brand of automotive geek. The BMW M235i is a fantastic piece of equipment. 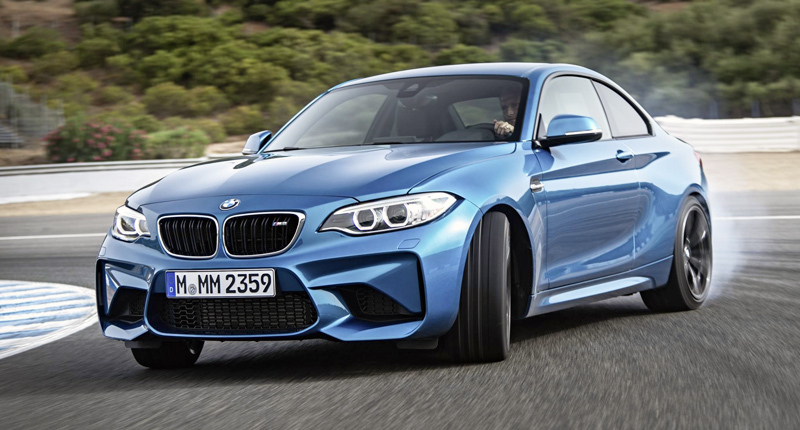 The upcoming BMW M2, however, is certain to be even more thrilling. This rear-wheel drive performance coupe employs the same 3.0-litre turbocharged inline six-cylinder, but is tuned to deliver a stonking 272kW and 465Nm (with an extra 35Nm on overboost). The M-badged two-door sees off the obligatory sprint from standstill to 100km/h in a mere 4.3 seconds (in automatic guise), and looks pretty darn handsome when doing so. In fact, it closely mimics the M4 in terms of styling, and pilfers a few mechanical bits and bobs from its big brother, too. We can expect the M2 to be available with all the tasty gadgets from the standard 2 Series range, as well as a few special ones, such as a GoPro app and an M Laptimer app. These two nifty applications are ideal for track-day junkies, and are controlled through the vehicle’s ConnectedDrive system. Chevrolet wants to take the electric vehicle mainstream. In fact, it plans to deliver what it terms the “first affordable long-range EV in the market” – provided it beats the Tesla Model 3 to the mark, that is. 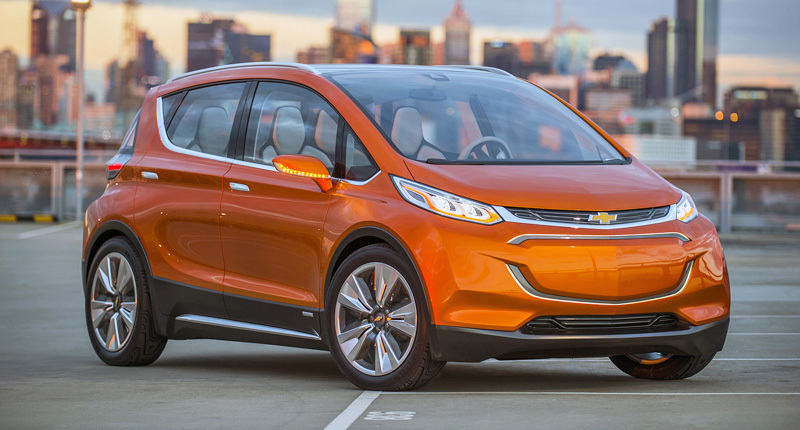 And that car is the Chevrolet Bolt (not to be confused with the Volt plug-in hybrid). The Detroit-based automaker says the production version of the Bolt will boast a range of more than 320km, while DC fast-charging of the lithium-ion battery will allow an 80 percent charge to be achieved in less than 45 minutes. Splendid. More details will become available when the production version of the Bolt breaks cover at the Consumer Electronics Show later in January (it may well end up looking rather different to the concept model pictured above). But expect some clever EV-specific gadgets to be scattered around this newcomer’s no-doubt futuristic cabin. 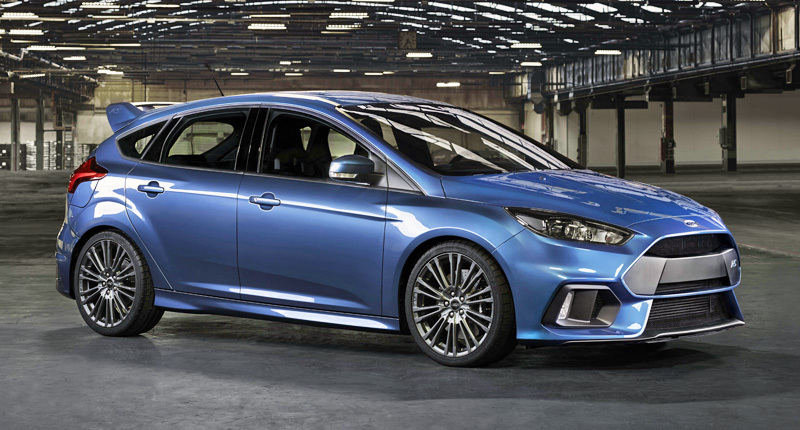 Yes, 2016 will see the introduction of a new Ford Focus RS. And this one looks to be even crazier than its predecessors. Equipped with an uprated version of the 2.3-litre EcoBoost engine from the Mustang range, the new Focus RS makes a whopping 257kW and 440Nm (with an additional 30Nm on overboost). Thankfully, that considerable oomph is sent to all four corners (via an in-house-designed all-wheel drive system), allowing the German-built fast Focus to make the most of its considerable power. Indeed, with the help of a launch control system, this hot hatch reaches 100km/h from standstill in just 4.7 seconds, which is a full second quicker than one of its main rivals, the Honda Civic Type R.
Like most Fords, the hottest Focus yet will feature the brand’s Sync connectivity system, which in this application even allows drivers to use the voice command function to “find a race-track” (we kid you not). This, of course, is useful for when said driver wishes to make use of the vehicle’s clever built-in “drift mode”…. Renault’s C-segment hatchback saunters into its fourth generation, and boy does it look slinky (particularly in GT guise). 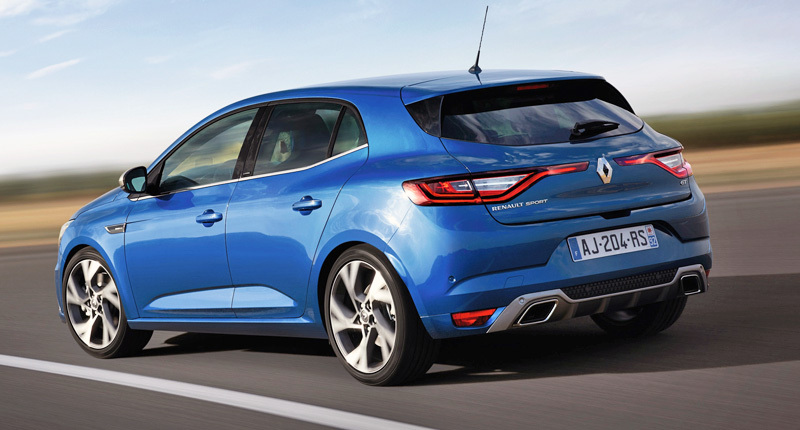 A little larger than its predecessor, the new Megane isn’t all style and no substance. In fact, with a luggage capacity measuring some 434 litres, this posh French hatch is actually rather practical. And it’s crammed full of technology, too. Indeed, the Megane IV can be had with premium-style items such as a colour head-up display, a hefty (portrait-mounted) tablet-like touchscreen, and even four-wheel steering. Of course, an RS model will eventually follow, with an as-yet-undisclosed but sure-to-be exciting powerplant. Initial models, however, will be powered by range of six petrol and diesel engines, linked to manual or dual-clutch transmissions. And a “hybrid assist” diesel derivative with a targeted fuel consumption figure below 3.0 litres per 100km is on the cards for 2017. Automakers tend to make big claims about their products. 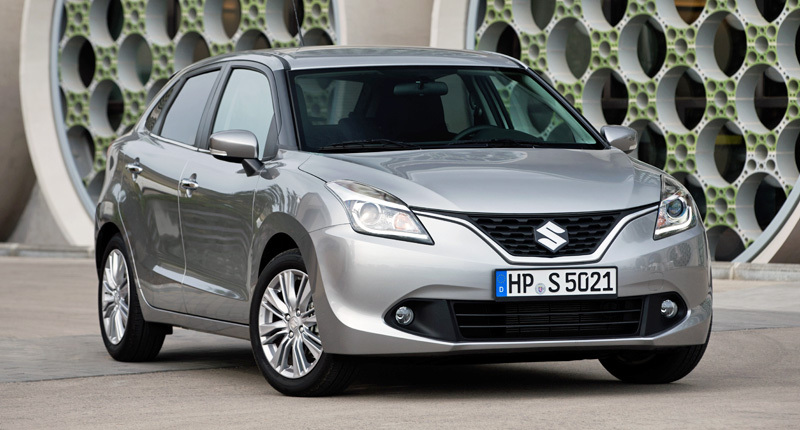 And Suzuki has certainly done that with the new Baleno, which it bills as both the “ideal hatchback” and the compact car taken “to the ultimate level”. But it certainly has its work cut out, seeing as it’ll go up against the likes of the Ford Fiesta and Volkswagen Polo. Riding on an all-new platform, the lightweight Japanese hatch will draw its urge from either an 82kW/170Nm 1.0-litre turbo triple BoosterJet engine or a 66kW/120Nm 1.2-litre four-cylinder DualJet mill, the latter incorporating a mild hybrid system. It’ll also be rather practical, thanks to a 355-litre luggage compartment that dwarfs the capacity offered by other B-segment hatches. Is the Ford Focus RS a little too extreme for your tastes? 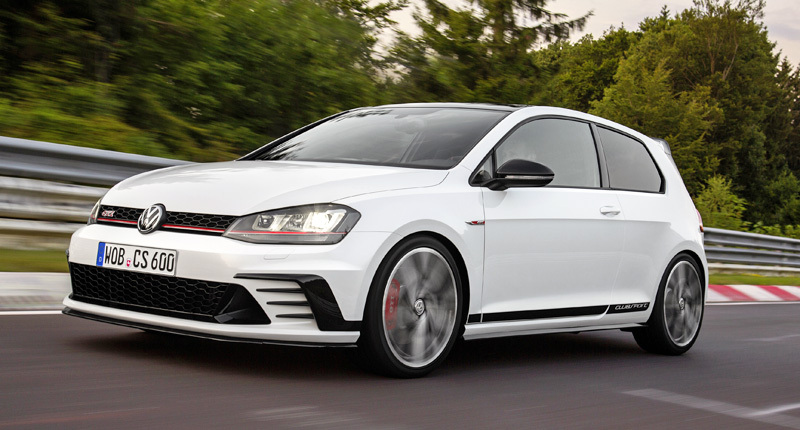 Well, then you’d best wait around for the limited edition Volkswagen Golf GTI Clubsport, which slots in between the standard Golf GTI and the range-topping Golf R. This front-wheel drive model, of course, has been built to celebrate the 40th anniversary of the vehicle that started it all: the Golf GTI of the mid-seventies. So, how does the Clubsport differ from the regular model? Well, the familiar EA888 2.0-litre turbo-four has been tuned to deliver 195kW (around 25kW more than a GTI fitted with the Performance Pack, and just a few units shy of the all-wheel drive Golf R), with this figure briefly jumping to 213kW thanks to an overboost function. With an optional DSG transmission fitted, it’ll scamper to three figures in 5.9 seconds. The exterior styling alterations (which the German automaker insists are functional in terms of down-force) are both tasty and obvious, while inside the Clubsport features a few nods to the original, including tartan bucket seats with red stitching. It also comes with red detailing on the seatbelts, as well as an Alcantara-clad steering wheel.